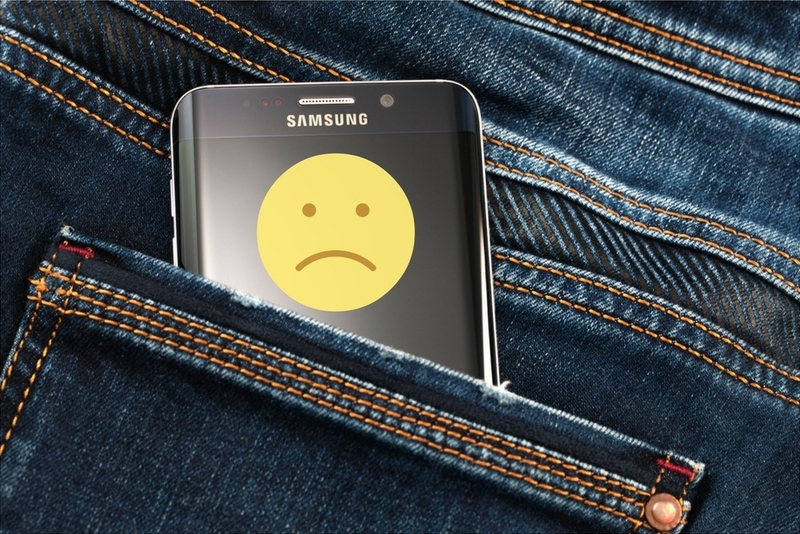 Going bezel-less seems to be the new norm for smartphone makers. Yes, it’s a good design idea. But a game-changer? 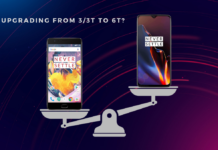 We’ll wait to see how this pans out, but the 18:9 aspect ratio phones are all the rage. InFocus has implemented the same design language in their newest budget offering – the Vision 3. It’s the cheapest smartphone in the market with the ‘FullView’ display, at the time of writing. Which is a good USP to have but how does it really perform? We tested out the Vision 3 for a few weeks to see how well it can hold its own. Especially considering there might be a few Chinese competitors who may be launching their own offerings in a similar budget with an 18:9 aspect ratio screen. But, first things first. Design wise, the Vision 3 is an impressive looking device. Plastic to touch – yes, however, the metal paint does add some premium-ness. On the front, there are no hardware buttons and only the earpiece at the top, some sensors and an 8MP camera. To the right side are the power/lock key and the SIM card/microSD card slot. And to the left is the volume rocker, all of these feel well placed. Especially since the phone is not as wide as the other phones we’ve grown used to. 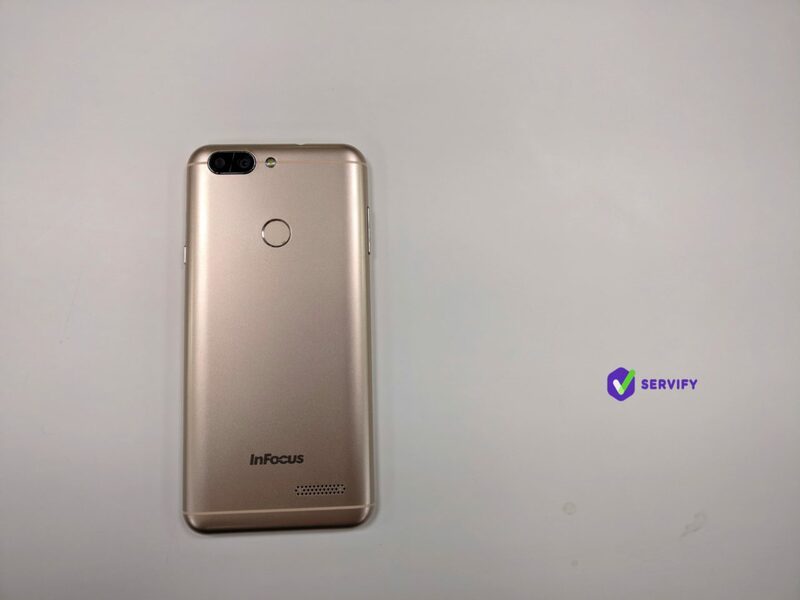 The InFocus Vision 3 has dual camera setup and antenna lines running across the top and bottom. Which brings me to the best part of the 18:9 aspect ratio design of Android phones. The usability on a daily basis. Since this new form factor is creating tall displays, somehow managing a phone sporting a 5.7-inch display doesn’t feel awkward. In fact, quite the opposite. My only gripe with the overall design is the strange decision to have speakers in the back. For the sake of simplicity, we’ve broken down the performance into display, hardware & software and camera performance. Let’s look at each of these individually before setting an overall performance impression of this device. With an elongated display, the HD IPS panel feels a bit different to other budget smartphones. In daily usage, though the display feels crisp and vivid, the colour-shift is quite noticeable. Not a deal-breaker, though, as the display gets quite bright in outdoor conditions. At night, however, it doesn’t dim as much as I would’ve preferred. 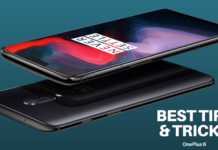 These observations are mostly nitpicking, though, as in this budget you’ll be hard pressed to find an Android phone with an extraordinary display. Videos streamed on the Vision 3 appear good with enough detail and dynamic range, with a good amount of detail rendered. The Vision 3 is powered by a MediaTek MTK6737H SoC which operates its quad-cores at 1.3GHz. The performance of this hardware, coupled with the 2GB of RAM is decent. However, every now and then I noticed some lags and stutters. Graphic intensive games didn’t perform as well and there was noticeable heating. Where the hardware does shine is when you install ‘lite’ version of apps and breeze through multi-tasking on them. There were noticeably lesser issues using the device in such a manner and there was much to like. Apps and games have no issues in scaling to the newer aspect ratio, as we’ve already seen in phones like the Honor 7X. However, multimedia experience isn’t ideal as videos shot on 16:9 aspect ratio (or rendered in 16:9) can’t scale to the 18:9 ratio. Again, it’s not something only the Vision 3 suffers from. Newer hardware like a taller display usually ends up with newer issues like these. The software, on the other hand, is rather coarse. 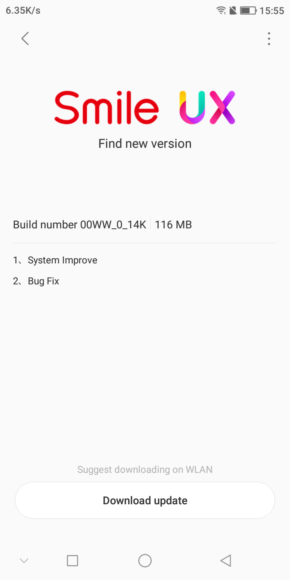 It’s running on Android 7.0 (Nougat) at launch (sadly no Android 8.0 Oreo and no support for Android Go or Project Treble mentioned) and during the course of our testing has already received some updates. InFocus have added their own custom UI on top of this, called Smile UX. It’s similar to UIs from Chinese OEMs where the apps get installed on the home screen and there is no app drawer. 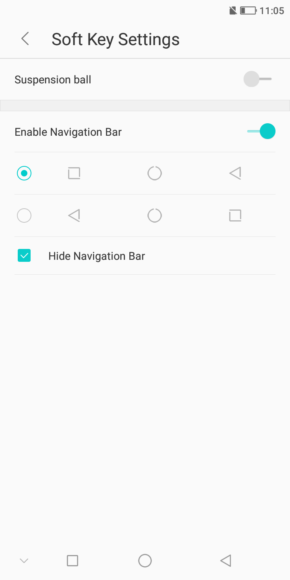 Surprisingly, though, there is support for widgets and there is even one pre-bundled which gives you helpful tips like going to sleep on time. Strangely, options like hiding the navigation bar are given to end user, which makes it impossible to navigate as there are no hardware buttons. Yes, there is an option to enable the ‘Suspension ball’ but it doesn’t enable automatically when you disable the navigation bar. Strange. 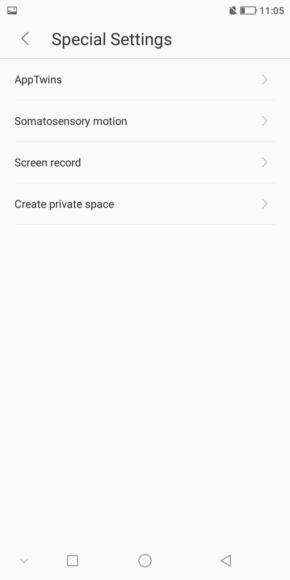 In the ‘Special Settings’ menu, there are useful features like creating app clones, recording the screen and creating a private space. However, actually using these features is quite a clunky experience and more polishing is required on the software side, to fully enjoy these. Hopefully, these should improve with future software updates. Even going ‘Live’ on Facebook was not possible initially on the Vision 3 but an update took care of it. The quick-settings drop-down menu has useful shortcuts, like taking screenshots and video recording, which are useful. 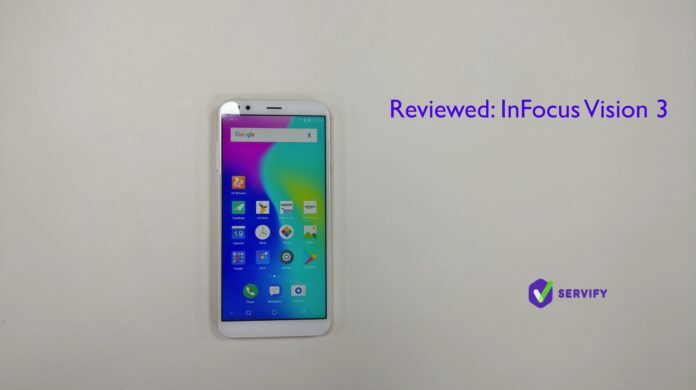 InFocus certainly has given good features for such a budget device, keeping in mind that it will mainly be targeted to tier II and tier III populace. Overall, multimedia and multitasking isn’t terrible on the Vision 3. 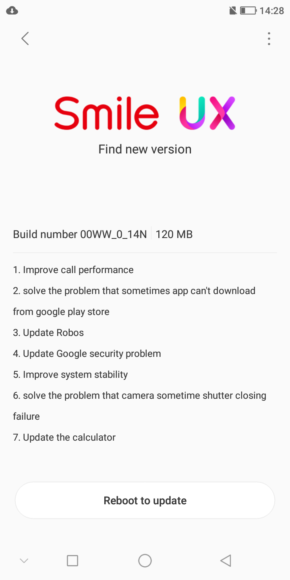 There might be an occasional lag and stutter but it’s encouraging to see the brand releasing updates to fix bugs, which hopefully will keep making the overall experience better for its end users. There is a fingerprint sensor at the back which is reasonably quick and accurate. At the time of review, no other phone in the market had a fingerprint sensor and the 18:9 display at this price point, which is quite something. 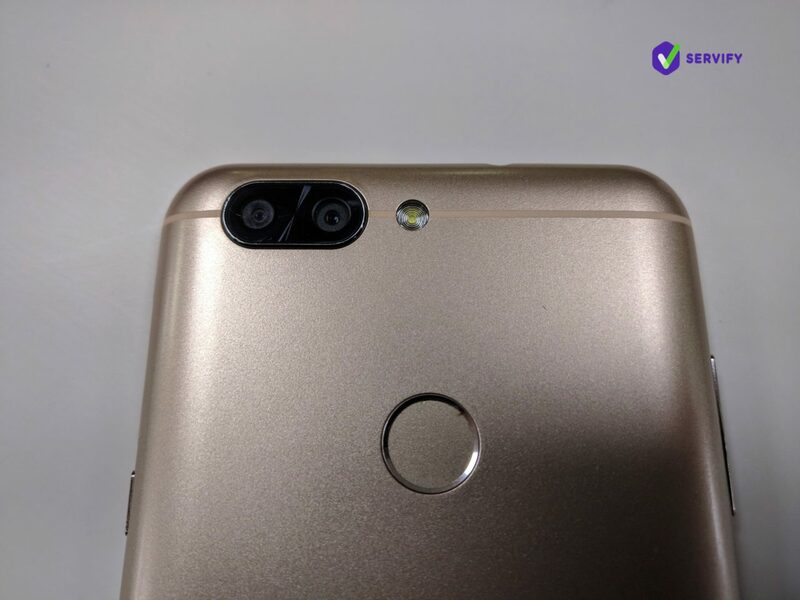 Another dual camera setup by another budget smartphone making OEM. However, the 13MP and 5MP combo on the Vision 3 is neither modern nor amazing. In good lighting, there is loss in detail while the camera itself is slow to focus and suffers from shutter lag. Things tend to worsen in video mode as there is no stabilisation of any kind. The front 5MP camera performs well in good bright daylight conditions but similarly struggles to capture good images in fading and low light. There is a lot of softness in the resulting pictures and even though the camera app has some fun modes to tinker around with, the end result is not going to blow anyone away. However, if you simply want to share images taken with the Vision 3 on social media and don’t mind editing them a bit, then the camera is decent for the asking price. Which is what it really boils down to. You can check some camera samples by clicking here. The InFocus Vision has all the right ideas on paper. A newer 18:9 design, good specs, dual SIM slots with 4G support for Jio and a price point which will make Chinese OEMs blush. So, should you buy one? I suspect that people looking for a new phone at this price aren’t really picky about the camera quality and won’t install too many apps either. If you’re one such buyer, then sure. Go right ahead and buy it. However, if you’re looking to post pictures on your social media accounts and want a more VFM (value-for-money) product, then you might want to hold on. There might be other players in the market who may be launching their own phones with the 18:9 display for about the same price. 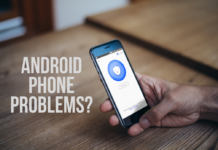 It’s a tough call to make but usually that’s how it is while buying a new smartphone in this day and age.